Teens in grades 7 through 12 meet each Wednesday at 7 pm in our youth room in the basement of the parsonage house next door (with a break for summer in July and August). Led by Youth Directors Bill and Cindy Underwood, students develop life-giving friendships and grow in their relationship with God through exciting Bible lessons, relevant times of worship, and relaxing times of friendship. 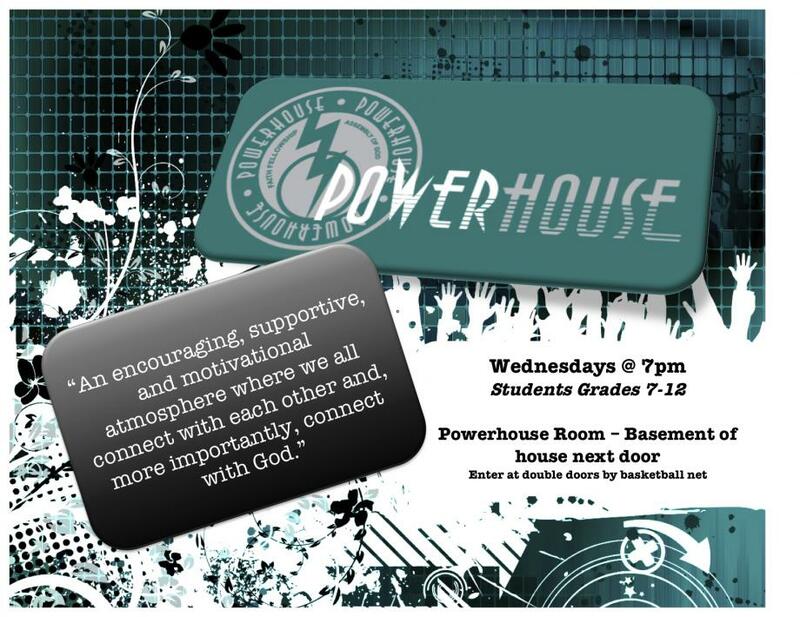 In addition to Wednesday Powerhouse services, student opportunities include social events, summer camp, District Youth events, Fine Arts Festival, and much more!